Gun sales in America soared after President Obama&apos;s re-election, with gun sellers reporting that firearms are flying off the shelves like hotcakes. Gun owners are stocking up because of claims by the NRA that President Obama is going to outlaw and seize guns during his second term, reports The Telegraph. Mel Bernstein, owner of Dragonman Arms in Colorado Springs, Colorado, told KOAA-TV: "We&apos;re going from normally six to eight guns a day, to 25. I stocked up, I got a stockpile of these AK-47s, we&apos;re selling these like hot cakes. Luckily I had an idea of what was going on because it happened with Clinton." John Kielbasa, owner of Fernwood Firearms in Hankins, New York, told CNN: "Sales are up. I had a guy waiting here first thing in the morning. He came in, bought two AK-47s. It&apos;s going to be good for me for business." 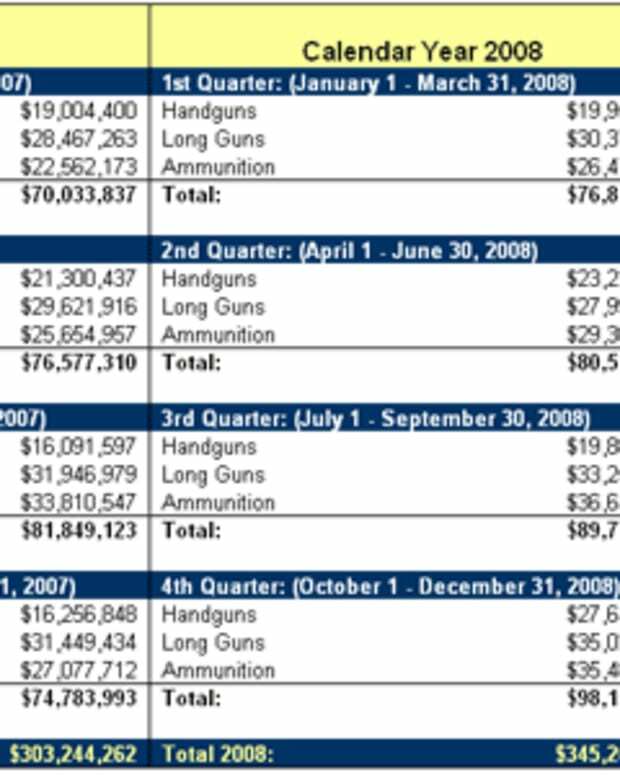 Stock prices for gun makers Smith & Wesson and Sturm also went up after President Obama&apos;s re-election. President Obama actually loosened gun laws in his first term, allowing weapons in national parks. However, in a presidential debate on Oct 16, President Obama said: "What I&apos;m trying to do is to get a broader conversation about how do we reduce the violence generally. Part of it is seeing if we can get an assault weapons ban reintroduced." President Obama would still have to get any new gun restrictions past Republicans in Congress, which is unlikely.